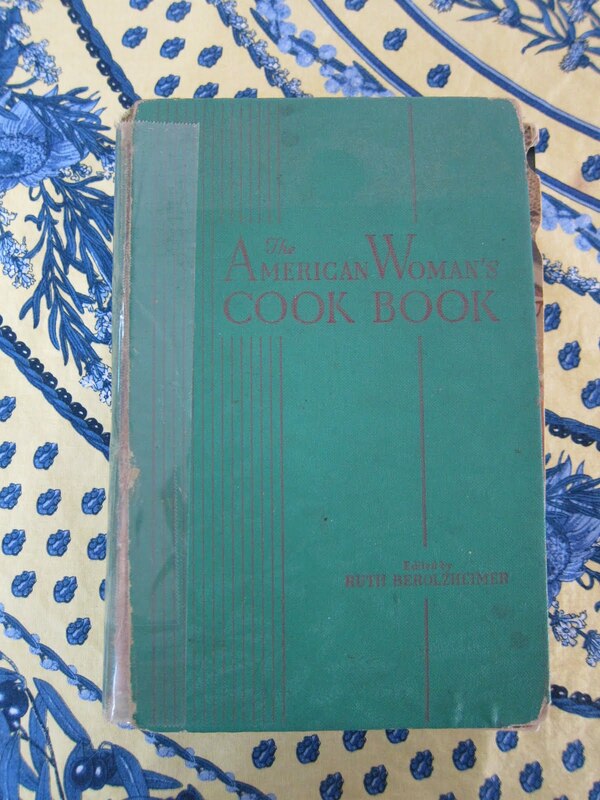 Dad picked this up at a yard sale for me: “The American Woman’s Cookbook” by Ruth Berolzheimer (1941). The cover is held on by tape, but it’s in otherwise great condition. Not surprisingly, I have been entertained by the dated material (certainly the section on “Entertaining Without a Maid” was good for a chuckle) and also a bit surprised by some of the recipes (see “Opposum Roast”). I plan to skip the recipe for braised calf’s brains with oysters and all the others for opposum, squirrel, reindeer, and pigeon (potted pigeon, pigeon pie, AND pigeon and mushroom stew). 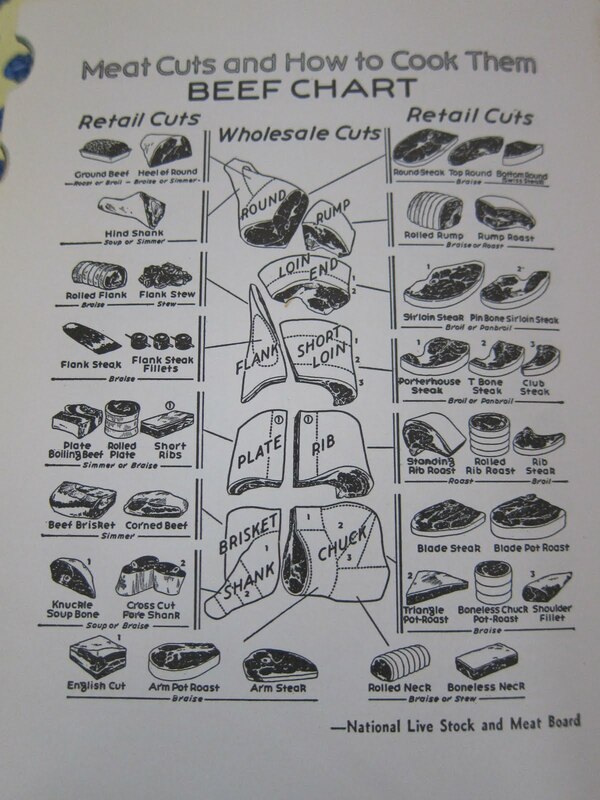 But the classic buttermilk waffles, chocolate cream pie, and pan broiled steak look mighty fine and there are some useful charts (like the one pictured on cuts of beef) and how-to instructions on basic cooking techniques that stand the test of time. Song in my head since getting the book: “American Woman” by the Guess Who (obviously); I like the Jimi Hendrix version but I could not find any good YouTube videos for that. Food and music, a good match.